Like many of you, I am spending (way too much) time this holiday season doing my shopping online. When I know what I’m looking for, I typically use a search engine to find the best price for that item. Sometimes the best price is on a site that I don’t recognize, but I’m a sucker for a deal. But if the site looks like it was made in 2002 and has a bunch of typos and grammatical errors, I’m suspicious. Is it really worth giving them my credit card number and home address to save a few dollars? An outdated government website may elicit a similar suspicious response from users. After all, people are judgey about websites. It’s almost 2019, so most everyone knows what a good website looks like. While modern website standards were initially pushed forward by the private sector, people now have the same “shaking my head” response when visiting a poorly designed, difficult-to-navigate and hard-to-understand government website. Just because your website ends in a .gov doesn’t excuse a poor user experience. Some of your website visitors may not have a choice: if their house is in the City of Websiteville, they must get their remodeling permits from the City of Websiteville. But what if they have a choice between two jurisdictions? Or the choice of working with you or taking their business somewhere else? In part one of this blog, I’ll address potential residents and businesses. In part two, I’ll examine other personas that visit your website. When moving to a metro region, people will typically do a bit of research before deciding where to live. Logically, they’ll check out the housing market and crime statistics, but common sense would tell us that it won’t stop there. Young professionals will research job opportunities and recreation options. Families with young children will look into schools, libraries and family-focused activities. Retirees will want to ensure that the area is senior-friendly and has good recreation options for older residents. Each resident persona has a different focus and will likely look at how the different cities in a given area will meet their needs. Unless your city has a known brand (e.g., New York City, Atlanta), your website will be the primary source of information for these potential residents. They’ll plumb it to get the information they need and compare it to your neighboring agencies. Difficult to find information, lack of relevant content and an ugly site will be marks against you, especially if your neighbors’ websites excel in those categories. Unless it’s tied to a specific geography (e.g., a souvenir booth outside Mount Rushmore), most small businesses will locate where they will face the least resistance. Yes, certain places will be more profitable, but when choosing between two seemingly good locations in neighboring cities, a small business owner is going to be interested in how easy it is to get building permits, paperwork for employees, parking rules and more. The sandwich shop franchisee looking to open a new shop will use the cities’ websites to find this type of information and will base her decision on where to locate in part from what she can find there. If business information is difficult to find or your website makes the process of starting a business seem very complicated, but a neighboring city’s website makes it seem quick and easy to open shop, guess which city will get the new business? What can you do to complete? How you address the needs of potential residents and businesses should be based on user experience (UX) testing. The results of surveys, interviews and other methods will reveal what makes your customers and your agency different than others. In the meantime, though, make information easy to find by building a specific page that aggregates the information these personas are most commonly looking for. Feature a “Start a Business” task, but don’t bury it under the Economic Development department because not everyone knows what that department does or would intuitively go there to search for business permits. Instead, consider making a “Business” tab in your navigation that covers it. For potential residents, make a “Move to Websiteville” feature in your navigation. 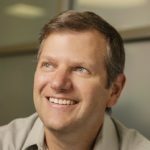 Then use the results of your UX study to further break down that page based on each persona’s unique needs – such as young professionals, families and seniors – and offer content specific to each of their needs. The famed entertainer Will Rogers said, “You never get a second chance to make a first impression.” Your website is your chance to make that first impression. How your customers view its design, navigation and content could be the difference between attracting new residents and businesses or losing them to another agency. 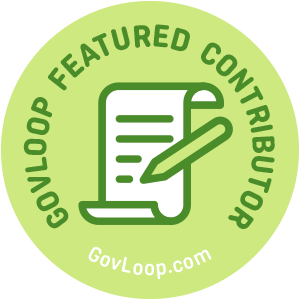 Martin Lind is part of the GovLoop Featured Contributor program, where we feature articles by government voices from all across the country (and world!). To see more Featured Contributor posts, click here.